Plus tax. Hondas and like models. Synthetic oil is extra. Some models higher. Coupons have no cash value. Please present coupon when service order is written. May not be combined with other coupons, discounts, or specials. automobile. Hondas and like models. Coupons have no cash value. Plus tax. Hondas and like models. Maximum discount not to exceed $100.00. May not be combined with other coupons, discounts or speciials. Please present coupon when service order is written. Plus tax. Hondas and like models. Maximum discount not to exceed $100.00. May not be combined with other coupons, discounts or speciials. Please present coupon when service order is written. discounts or specials. With this coupon. Plus tax. Hondas and like models. May not be combined with other coupons, discounts or specials. With this coupon. Factory Recommended Every 3 Years! combined with other coupons, discounts or specials. With this coupon. Plus tax. Hondas and like models. Coupons have no cash value. Please present coupon when service order is written. May not be combined with other coupons, discounts or specials. 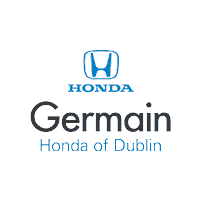 Germain Honda of Dublin	40.103972, -83.091775.